Sensoneo, a Bratislava, Slovakia-based provider of smart, enterprise-grade waste management solutions has announced its readiness for the USA’s first nationwide narrowband IoT network, which was launched by T-Mobile in July. The Sensoneo company has been testing its smart waste fill-level sensors in several locations across the USA for the past weeks to ensure 100% readiness of the devices once the IoT network goes live. We are happy to see the launch of the narrowband IoT network by T-Mobile. 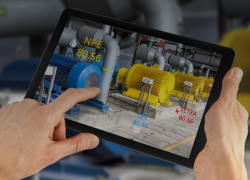 It is a very important milestone and a great opportunity to drive smart solutions that enable the tracking and optimisation of equipment in different industries, leading to improved health and safety, reduced costs and improved efficiency. We feel very proud to be one of the very first vendors who have tested their devices on T’Mobile’s NBIoT network. The Sensoneo Quatro Sensor, dedicated to monitoring fill-levels in bins of different types and sizes, proved to be fully compatible with the network and is ready for installation anywhere in the USA; bringing both economic and ecological benefits to customers,“ said Lubos Tuma, CEO of Sensoneo company. 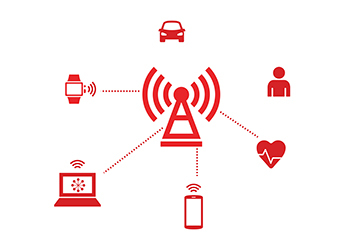 As stated in the T-Mobile official press release, “…NB-IoT is a low power, wide area network LTE-Advanced tech that offers benefits like low power usage, long battery life, and low device cost.” In addition to the NBIoT network, the Sensoneo solution is also compatible with other currently available IoT networks; including Sigfox, LoRaWAN, BLE and CAT-M. The Sensoneo solution for smart waste management was developed in 2014. Since then, this Slovakia-based (mid-European country & member of the EU) tech company has managed to make an incredible journey from highly demanding R&D, testing, and patenting processes to first installations, happy customers and global expansion. The Sensoneo smart waste management solution is currently deployed in 53 locations on 4 different continents. Sensoneo designs, develops and produces several variants of inhouse-produced fill-level smart sensors that are able to monitor any type of waste in any type of bin. Fill-level information is transferred via all currently available IoT networks (or GRPS/GSM) to Sensoneo software, where it is used to provide customers with data-driven decision making and the optimisation of waste collection routes, frequencies and vehicle load. The Citizen app is a free mobile application that informs citizens of the nearest available empty bin, type of waste, actual fill-level, and directions.